Sunmica is the most popular brand of laminates in India. The brand name Sunmica has become such a household name, that the word Sunmica is often used as an alternative word to the more general term Laminates. Sunmica is a thin hard decorative sheet (thickness usually ranges from 0.6 mm to 1.5 mm) that is a actually a blend of paper and plastic materials. Sheets of paper soaked in phenolic resin (from which plastic is made) and melamine resins are pressed together under high pressure and temperature to make decorative Laminate sheets such as Sunmica. These decorative laminates are most commonly used as an overlay over wooden furniture, and if you walk into a carpenter’s shop you can often find carpenters fixing these Sunmica sheets on to a plywood base using adhesives such as Fevicol. 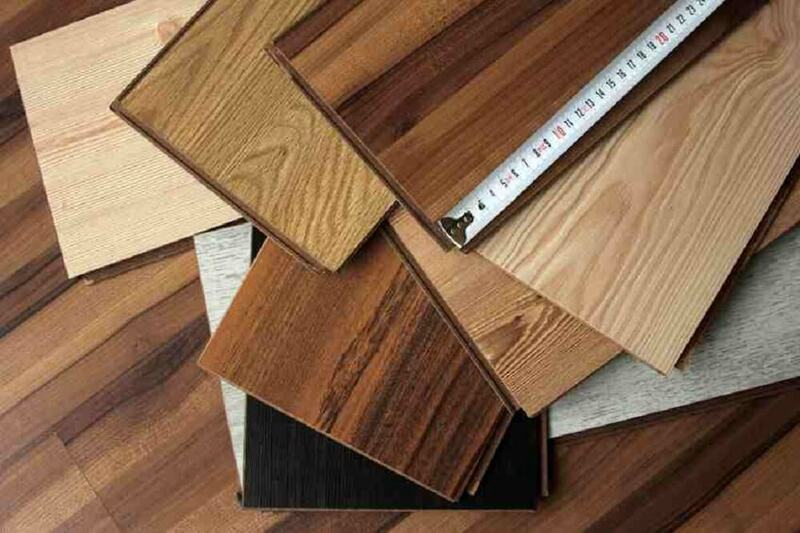 While Laminates such as Sunmica are engineered products made using synthetic materials such as resins, Wood veneers are more natural substances. Veneers are actually very thin sheets or slices of wood obtained from the trees. For example teak veneer means a thin sliced layer of teak wood, or oak veneer means a sliced layer of oak wood. The key similarity between laminates such as Sunmica and veneer is in the way these two materials are used. Both are used as an overlay over wood. In the manner that Sunmica sheets are glued to plywood, in the same way, a teak veneer can also be glued over plywood or any other wood. When wood veneers such as teak veneer are attached to the base wood, the final appearance of the furniture is like teak wood furniture, though inside wood of lower cost can be used. The other main similarity between the two substances is that decorative laminates being artificially created materials, can have a variety of designs and patterns on them. Often the most popular sunmica designs are those that imitate wood finish. So you can have a sunmica that has a teak wood design, though it will still feel different to the touch. You can also get a similar look by attaching a teak wood veneer over the base wood. 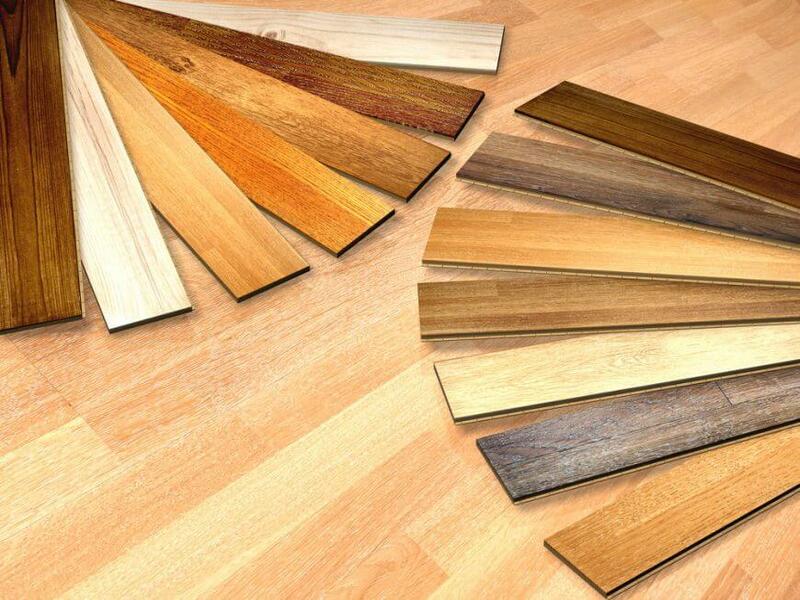 The main difference between sunmica/laminates and veneer is the material. wood veneers are thin sheets or slices of wood, while sunmica or other laminates are a blend of paper and plastic. Another important difference is in the availability of designs. Since veneers are made from wood they will always have wood grain designs and a wood appearance, on the other hand since Sunmica is created using artificial means (and uses decorative printed paper) it can have a wide variety of colours, patterns and also textures. Table tops or other furniture that have sunmica or other laminates on top, are not easily affected by water, as also the surface is quite resistant to scratches and other wear and tear. Furniture decorated with wood veneer on the other hand, has to be cared for as you would take care of any other wooden furniture item. Its a wooden surface. A drawback of laminates is that it is a brittle material and is prone to chipping (especially if it is not adhered to the wood firmly). Another point is that many people prefer the more natural look and feel of veneers compared to the artificial looking laminates. 7. Low maintenance when compared to veneer. Some design conscious people say that Laminate based furniture is not rich looking furniture. As laminates cover the bare wood, it is hard to adjudge the quality of wood members used under the laminate/sunmica. IS Designation- Sunmica finishes/ decorative laminates should be according IS 2046-1995.